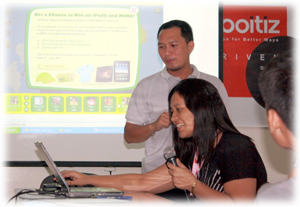 What’s new in AboitizPower? ...could be one of the questions of team members who have less knowledge of what is happening around Aboitiz group. Thus, there is Learn and Experience Aboitiz Power (LEAP) branding program to let all team members understand, learn, and be informed of what is new in Aboitiz Brand. CUSTOMER SERVICE at its highest quality is what Project Pearl is all about. After the success of Project Pearl 1 of VECO, then Pearl 2 of Davao Light (DLPC), here comes the Project Pearl 3 of Cotabato Light. Finally, Cotabato Light and Power Company (CLPC) enjoining the new system called Customer Care and Billing (CC&B) System. On March 23 at 10am, Pearl 3 had its kick-off activity held at Cotabato Light Conference Room. The event was graced by CLPC and DLPC Executives, Subject Matters Experts (SMEs), Team Leaders and Team Members. 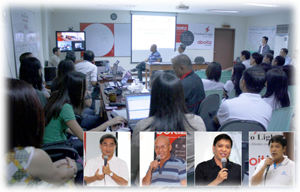 Also present via Video-con were AboitizPower VP-Distribution CSG Bien Garcia and Cotabato Light CEO Jimmy Aboitiz. To land a good job after graduation is among the primary wish-list of most, if not all, of the college graduates. Thus, some schools and universities organize Jobs Fair as an “extension” services to its graduates to help them succeed in today’s competitive market place. That’s why Jobs Fair is always a good venue where prospective employees and employers would meet. 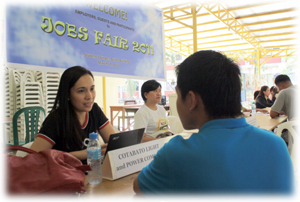 In response to the invitation of Notre Dame University (NDU), the Cotabato Light and Power Company (CLPC) along with other different companies in Mindanao participated on its Jobs Fair. The event was held at the latter's campus on March 17. 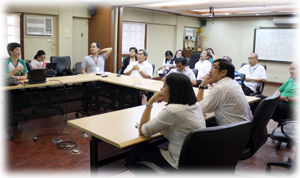 As mandated, the Aboitiz Equity Ventures (AEV) Reputation Management Department (RMD) conducted a roadshow to Cotabato Light and Davao Light executives and officers on March 14 held at the latter’s conference room. AVP for Branding and Corpcom Ms. Carol Ballesteros presented the various product and services of RMD has to offer to all business units (BU’s) of Aboitiz group. While, Chief Reputation Officer (CRO) Basti Lacson also gave some insights and enlightenment of RMD’s role, and AboitizPower branding activities alignment with each BU. A glimpse of RMD's new organizational structure was shown to give everyone an update on the wider scope of responsibility of Reputation Management.